Dr. Animesh Barodiya is a MDS, Oral and maxillofacial surgeon. 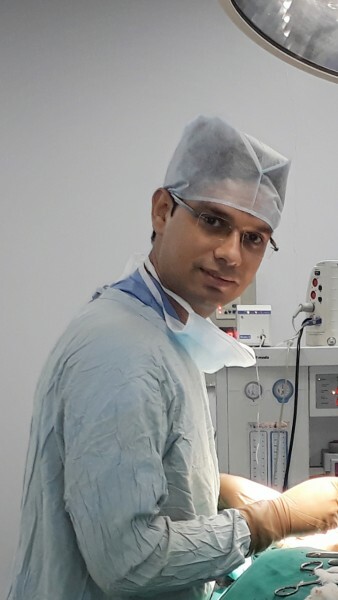 After completing his MDS from indore in 2013 he has worked as a senior resident at AIIMS Bhopal. Recently he has opened multispeciality dental clinic- BARODIYA DENTAL CLINIC AND MAXILLOFACIAL CENTRE in Itarsi. Some of the services provided by the doctor are: Surgical removal of impacted wisdom tooth, Braces, Dental Implants, RCT - Root Canal Treatment, Tooth Replacement (Denture), Tooth Bleaching, Scaling, Space Maintainers, Gum Surgeries, Paediatric Dentistry, Temporomandibular Joint Disorder Management, face and jaw bone fracture treatment, jaw swelling, reduce mouth opening –OSMF, oral cancer treatment.